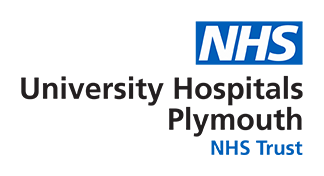 The Department of Microbiology is located on level 5 in Derriford Hospital, Plymouth. We are a large department employing over 50 members of staff comprising medical, scientific, ancillary and clerical grades. The department processes in excess of 500,000 specimens each year. We provide a comprehensive diagnostic microbiology, serology and molecular biology service. Microbiology Department regards the lawful and correct treatment of patients’ personal information as vital to successful operations and to maintaining the confidence of users of the service. Our policy is to treat personal information lawfully and correctly and therefore we fully endorse and adhere to the principles of data protection defined in the Data Protection Act 1998. Patient consent is required for the use of tissues removed at surgical procedures for research (with certain exceptions), transplantation or obtaining medical information relevant to another person e.g. genetic information. Consent is not required for the use of tissue from living patients for the following purposes; clinical audit, quality control, public health monitoring, education or training in relation to human health, although it is good practice to inform patients that their tissues may be used for these purposes via patient information literature, and should any patient specify that they do not want their samples to be kept or used for such purposes, these should be respected. These latter uses of tissue are essential to ensure the high quality of service, which all patients have the right to expect. Wherever possible, samples of tissue used in this way should be anonymised or pseudonymised. As a department we aim to provide you with the best possible service at all times. If you have cause to send feedback regarding the service you have received, whether complaint or compliment, please contact one of the managers below. We will do all we can to help. Offer a range of clinical microbiological, serological and molecular services as befits the needs of the users. At the laboratory’s Annual Management Review, set measurable quality objectives that will be reviewed regularly by management throughout the year to assess their progress, effectiveness and implementation. Commit to the health, safety and welfare of all its staff. Visitors to the department will be treated with respect and due consideration will be given to their safety while on site. Uphold professional values and commit to good professional practice and conduct. Communicating with users and assessing their satisfaction with the laboratory’s service, in addition to internal audit and external quality assessment, with a view to continual quality improvement.